Dating sites that are focused on a particular community are becoming more popular every day, especially those designed for people 50 and over. 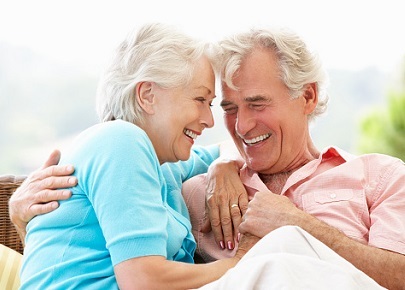 SeniorPeopleMeet.com is one of the online dating platforms that offers a space for seniors to meet. Many people who are in their 60’s and up feel more comfortable connecting with others their age. Normally people in the same or similar age range share interests and have reached a maturity that young people may not share. SeniorPeopleMeet.com is a popular destination for friendship, travel companions, romance, and long term relationships. With thousands of active members, SeniorPeopleMeet.com it is the largest dating site that caters to the senior niche market in North America. 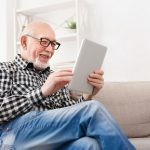 Although having a space for senior people to communicate and interact is a great idea, it is extremely important for users to understand that senior dating websites are also the preferred sites by online criminals too. According to a survey, older Americans are criminally defrauded of $12.76 billion annually. Scam artists are everywhere. And while everyone is at risk, seniors are a major target. “We help people from many different countries verify their online partners, but in our experience seniors continue to be the greatest target for online romance scams, regardless of where they come from or their financial status”, explains John Wallace, Director of Background Checks at Wymoo International. The most common explanation as to why seniors fall victim to dating and other scams more often is that they are more trusting, lonely and perhaps naïve of scam techniques. But further than that, it is clear that they also often lack an understanding of just how impersonal the internet and large websites are, and how difficult it is to track down scam artists who operate internationally. When today’s seniors were young adults, their social circle was made up of neighbors, school friends, co-workers and people they actually met in person and who most likely lived around the same area as they did. Life was good back then! Social media didn’t exist and the content on major media outlets was tightly controlled by editors and directors. Today, the internet helps people meet even if they thousands of miles away from each other, and major websites do little or nothing to verify or screen online profiles. So it isn’t hard to understand that seniors trust people and media more than they should, because they were raised in a smaller environment where deceiving was not an option when everyone who knew you also knew where you came from, your family, your work, etc. Internet scammers take advantage of the fact that most senior citizens are not computer savvy and will have a hard time trying to verify facts on their own. Even for computer savvy young people, verifying someone on the internet is no easy task, and usually requires the training and resources of a reputable private investigator, especially when the subject lives in another country. Online criminals are very resourceful and they are prepared to outsmart their victims, even those who are tech savvy. They not only have resources to create fake documents or to get a phone line and address from another country, but they also have the tools to cover their tracks. They assume real profiles of real people, so when you try to verify, everything checks out. What to do if you are trying to find love online at SeniorPeopleMeet.com? Unfortunately, like a fire that burns your house down, there’s not much you can do after being scammed. The key to staying safe is prevention. Know the risk, and take precaution. International private investigators recommend seniors, and anyone who is participating in the online dating game, to hire a professional and get evidence of whether or not the person you are contacting is who he or she claims to be. Investing in reliable information and clear evidence can save you from a lot of pain and financial loss. Don’t be a victim. The consequences of being scammed can be especially harsh for seniors, and being cautious and skeptical is your best policy. Have you met someone online you need verified? Contact us today!